Welcome to IrishCallcards.net. IrishCallcards.net was founded in 2012 by myself (Nick Rankin), with the aim of providing a Callcard catalog consisting of high resolution scans of each and every Callcard Telecom eireann and Eircom produced. A bit of background; like so many I collected these phonecards when I was younger and the majority of Callcards in my collection at that time were the ones I found in phone boxes/on the street. There were also some I bought, but being a child at the time it was difficult to afford Callcards! 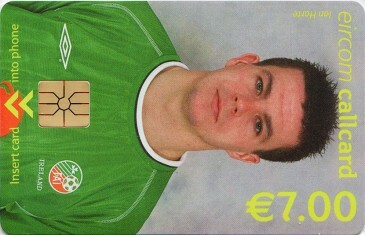 Around the year 2000, I gave up collecting Callcards. This was also around the time Callcards were becoming less and less popular, and mobile phones were becoming more affordable. It was in July 2012 I remembered Callcard collecting, 12 years on and I decided to Google Callcards. 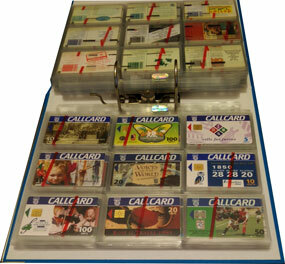 I was suprised to see there was no recently updated resources about Callcards. There were resources out there, but most of them were very dated and the Callcards scans were of a very low resolution. The websites were also not being actively maintained. Between this and regarding a nostalgia discussion on Boards.ie where I posted Callcards and received a surprising response from people this site was born. As you can imagine I have put many hours into this website. While I have enjoyed the project every step of the way there are costs associated with running and maintaining a website. If you would like to help out with either a Callcard or Paypal donation, please check out the Help Out section. Finally I would like to say a special thanks to Steve Hanley of The ShannonSide Callcard Collectors Club website whose information was used in the ordering and describing this collection.